My brother, sister-in-law, sister, and I, were traveling into the Texas Hill Country this afternoon and happened upon a very old telephone line that once held a couple of wires. There were about 15 or 20 of these very thin poles along the road. 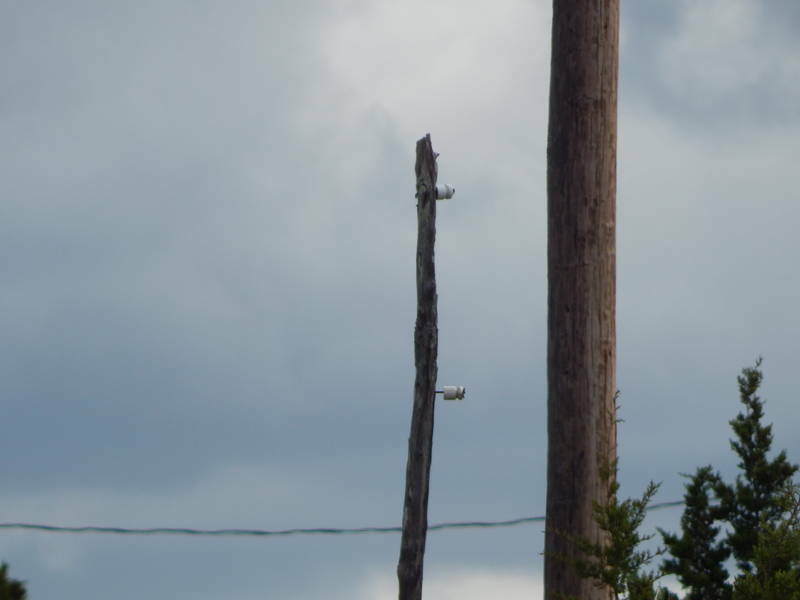 The insulators are just the nail on knob types, but this was such a nice sight to see in this day and age.